For some years now discerning print buyers have been charged with reducing costs, saving time and improving results, all the while saddled with tight marketing budgets based on revenue generation. While some marketers have turned towards alternative media to help meet their defined objectives, others simply started cutting back their efforts altogether. Those that have experimented with multi-channel communications, especially the integration of print and the Internet, have found they did not need to stray too far to get results. And really, with so many companies falling well short of their sales objectives today, no one can afford to scale back any part of their marketing efforts. A September 2008 Epsilon survey of top Chief Marketing Officers reported that over 94% of the respondents said they feel “a tough economic period is precisely the time when marketing plays a key role.” By investing in proven strategies and collateral-based marketing materials, companies can sustain basic marketing efforts that continue revenue flowing even through economic downturns. This notion can be substantiated considering the CMO Council’s 2008 Marketing Outlook that said events and trade shows, direct marketing, sales support materials, and online marketing were at the top of marketers’ investment lists. Generally speaking, collateral-based materials have always been centered in corporate marketing departments where brand standards, timing, costs and other critical aspects of marketing campaigns can be closely monitored. With the time, expense and headcount required to maintain this control, however, many have looked to their vendors for solutions. Meeting these demands on time, with ease, and at reasonable prices can be difficult; especially for those vendors unwilling to evolve. Many traditional printers have yet to embrace the web-to-print relationship, maybe for fear of losing the customer to the convenience of the Internet, or simply due to a lack of technological confidence or knowledge. Prisma Graphic developed dokshop.com as an online solution to support company-specific ordering sites that are tailored and personalized to meet the individual needs of each client. More specifically, dokshop sites enable clients to easily manage and distribute valuable corporate marketing assets; direct mailers, sales sheets, brochures, image or logo libraries, advertisements and email blasts, for example. These products can be produced statically or variably and either printed on demand and/or distributed electronically or by any common carrier. More importantly, the basic functionality of these sites gives complete control to the client to decide who can order, how often, how much and how each order is cost accounted. Prisma Graphic promotes these fully-customizable, web-to-print solution sites to clients looking to save time and money in the marketing process. With complete personalization options, dokshop can mirror a corporation’s centralized marketing department and help to lower basic administrative costs. Ultimately, dokshop’s very existence is to help marketers maintain brand standards, manage multiple location orders and total inventory, minimize collateral waste and economically distribute assets quickly and efficiently. Orders placed through dokshop typically ship within 1-to-4 working days from the time of receipt – a fraction of the time needed for a traditional order. Since introduced in 2001, dokshop has enabled businesses around the country to launch worldwide marketing campaigns much more efficiently. Today, dokshop supports nearly 235 clients with over 32,000 users and continues to grow. Simply put, dokshop allows Prisma Graphic to offer their clients the products and services they need, when they need it and how they need it. 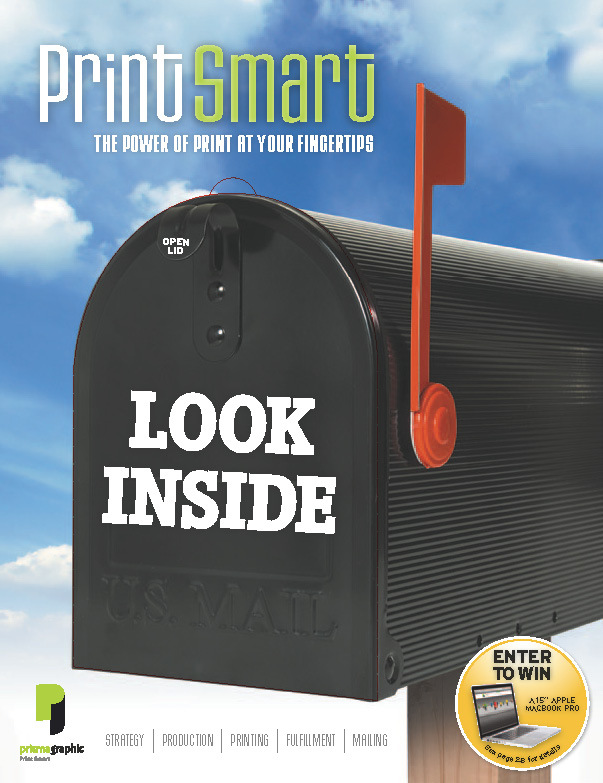 Please contact your current Prisma Sales Representative, or Bob Anderson now to find out how this dynamic web-to-print solution can benefit your company (800 379-5777 or roberta@prismagraphic.com ). With operations in 73 countries, Avnet has become one of the world’s largest technology distributors of electronic components, embedded subsystems, enterprise computing products and solutions. Their corporate social responsibility strives to make a difference in their employees, community, industry and the environment. In 2008, Avnet was recognized in the list of “America’s Most Admired Companies” by Fortune magazine – ranking first in many categories and second overall. In the past 30 years, University of Phoenix has helped transform the landscape of higher education by making it easily accessible for working students. The University is accredited by The Higher Learning Commission and is a member of the North Central Association (ncahlc.org). University of Phoenix offers a wide variety of degree programs at the Associate’s, Bachelor’s, Master’s and Doctorial levels and in fields such as business, technology, health care and education to name a few. What is Loyalty Marketing and how can it help my business? As consumers, we are constantly exposed to loyalty marketing programs. Think about how many times a day you insert your debit card, scan a key fob or provide your phone number or zip code at the check-out counter. We have become so accustomed to these routines that most of us now consider them just part of the purchase process, regardless of the personal benefit or reward. Whether we opt-in or not, our spending patterns and product preferences are easily attainable. Considering how prevalent transactional data has become, companies willing to invest the time and resources to collect this data have a distinct advantage in their respective industries. This data provides clear customer profiles, helps to predict product trends and can also be used as the foundation of a successful loyalty marketing program. I recently had the opportunity to sit down for a brief Q&A session with Stacee Amos who is the Owner of SEEK-Consultants, an advertising and branding firm. The goal was to capture the essence of a loyalty program, what it entails and how it can work for any brand. Q: How do you define loyalty marketing? A: Loyalty marketing can be defined as a program that helps a company retain and expand their existing customer base by identifying the purchasing habits, preferences and then translating that data into relevant incentives to increase sales. Q: What is a successful loyalty program? A: You must keep it simple and sweet or “KISS.” A successful loyalty program offers: (1) a clear list of expectations, (2) valuable rewards/perks that are relevant to its members’ needs and (3) attracts new customers with compelling opportunities that are only provided through the program. Q: How does one start a loyalty program? A: A few top-line points in starting a loyalty program. • Get to know your customers intimately. Try to gather enough information during enrollment to learn about their preferences, which will in turn allow you to define their needs, wants and wishes. After all, the program is all about them. • If you can offer multiple points of communication, find out how they prefer to be contacted (online, direct mail, social media, mobile, etc.) and how often (1x a day, 1x a week, 1x a month). This investment will keep loyalty customers engaged on their terms, and allow your business to better understand what methods and promotions are working best. • Tracking. A loyalty program must have a tracking component within each communication. Implement an online tracking code, personalized URL (PURL), vanity phone number or bar code within all communications to determine what works and what needs improvement. Q: What types of rewards are appropriate in loyalty programs? A: In most cases, the bargain hunters are not loyal customers. Ideally, your loyalty program will have rewards based more on products and less on discounts. If you are a restaurant, consider offering members one of your most popular or newest appetizers the next time they dine in. Or, if you are an online or retail store, offer an exclusive opportunity to purchase new products prior to the general public. Reward your loyal customers with your product as the incentive, not a discount. These customers become “loyal” over time by choosing your brand over price. Q: And lastly, how do you sustain a loyalty program? A: Sustaining a loyalty program is simple if you continually support your existing customers with relevant promotional opportunities, entice new customers with members-only rewards and consistently track all communications; ensuring you target the right person, with the right message and at the right time. To learn more about the benefits of loyalty marketing, or discuss ways to get started using transactional data to increase sales, contact a Prisma Sales Representative, or Chad Carmody at 800 379-5777 or chadc@prismagraphic.com. Marketers’ heads are starting to turn toward new big game players. The Latino population’s high growth, changing labor profiles and purchasing power are making a noticeable difference in business demographics. According to the second annual Marketing Executives Networking Group (MENG) survey, Top Marketing Trends for 2009, the multicultural marketing trend was one of the top 20 rated marketing concepts most interesting and relevant to the majority of the marketing executives surveyed. The U.S. Census Bureau reported that from 1990 to 2000 our Hispanic population increased by 12.9 million people. Moreover, this market accounted for almost one-half of our nation’s growth from 2000 to 2006. At nearly 15.5% of the total current United States population, their impact can be seen nationwide with 29% purchasing power in California, 18% in Texas, 10% in Florida, 8% in New York and 4% in Illinois. In response to increasing requests from Latino prospects, Prisma Graphic added a team of bilingual sales professionals to meet the demand. As a member of the business community in general, we understand diversity is a necessity – diversity in our product, in our service offerings and in our people. Claudia Ochoa and Ramon Tamayo are two of our bilingual Sales Representatives. Fluent in Spanish and English, they have both worked hard to reach out to the Hispanic community. We have since secured business with clients such as the Arizona-Mexico Commission and Latino Perspectives, a local entertainment and news magazine. In a country where demographics continue to evolve, technologies develop, and communities expand, one thing is for sure – businesses must change along with them if they expect to remain relevant in the near future. To find out how Prisma Graphic can help serve your multicultural marketing efforts, call 800 379-5777 and ask to speak to Claudia Ochoa claudiao@prismagraphic.com . Leveraging the Internet’s Power with the Impact of Print. Some are convinced the Internet will one day rule the marketing world. Experienced marketers know that it is just a tool, albeit a powerful one, that works best when it is combined with other mediums, particularly print. According to a recent InfoTrends study, companies that launch multi-media campaigns reported an average improvement of 35% (using print, web landing pages and email) over single channel print-only campaigns. Moreover, using personalization pushes that average closer to 50%. Current marketing trends depict that no one vehicle will win out soon, as top response rates continue to be the result of a combination of media. The Internet has proven to be an extremely efficient way to gather information, while direct mail is best at driving traffic to storefronts and websites. By providing a variety of touch points, to maintain visibility, the consumer ultimately decides how to receive your message. An easy way to integrate the Internet and print into a campaign launch is by utilizing both variable data printing (VDP) and online one-to-one messaging (such as personalized URLs and emails). Marketers are now enlisting both mediums to individualize each and every piece of a campaign; right down to the images shown, every word of pitch and even the specific product offerings. Chase Granberry, Founder of AuthorityLabs, suggests exploiting the strengths of both mediums. “When you are ready to expand your client base, purchase a prospect list that mirrors your best customers and send out a general direct mail that drives interest to an informational online landing page.” As we all know, consumers will provide contact information to receive something of value – special promotions, contests with great prizes, networking event notifications and even monthly newsletters. To learn more about the options that integrate your marketing efforts and help improve results, call your current Prisma Sales Representative, or Shelly Sheldahl at 800 377-5777 or email shellys@prismagraphic.com.